On sale! 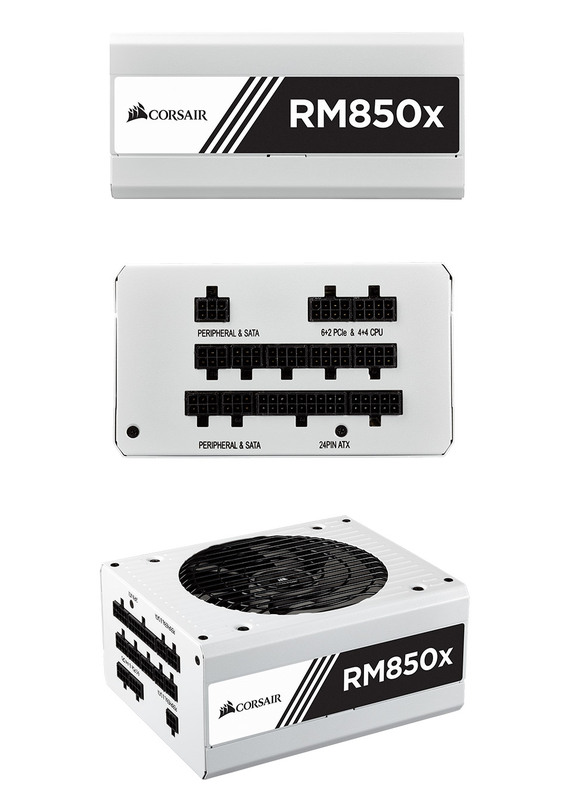 (normally $239) The Corsair RMx White Series power supplies give you extremely tight voltage control, quiet operation, 80 PLUS Gold-certified efficiency and all new white casing and fully modular cabling. Built with all Japanese 105 degrees Celsius capacitors, they're a great choice for high-performance PCs where reliability is essential. 80 PLUS Gold efficiency reduces operating cost and excess heat, while Zero RPM fan mode ensures virtual silence at low and medium loads. With a new clean white exterior and white fully modular individually sleeved cables, it's now easy to match your system's style and use only the cables you need with clean, great-looking results. 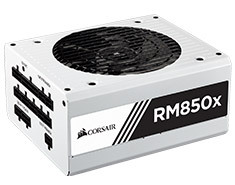 Corsair are so confident in the RMx family, they give it a 10 year manufacturer warranty. Plug it in, turn it on, and game on.